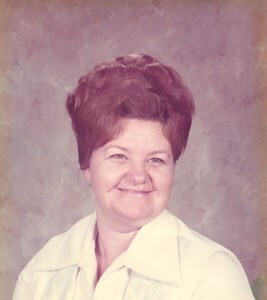 Irma R. Keffer, 82, of Junction City, KS, passed away on March 10, 2019. Graveside inurnment services will be held Monday, March 25, 2019 at 1:00 pm at the Fort Riley Post Cemetery. Visitation will take place prior to the inurnment service from 11:00 am to 12:30 p.m at Johnson Funeral Home, 203 N. Washington St., Junction City, KS. Family and friends will go in procession to the Fort Riley Post Cemetery following the visitation. Memorials are suggested to the American Cancer Society, 1315 S.W. Arrowhead Rd., Topeka, KS 66604. Irma was born on March 16, 1936, in Junction City, Kansas to Harry and Christina (Christenson) Williams. She grew up in Junction City. Irma married Samuel Vigil October 31, 1953 and they were together for 19 years. She later married Billy Keffer April 22, 1978 he preceded her in death June 9, 2007. She loved to cook and garden, but first and foremost she was a family woman. Irma was a loving mom to her children and their friends, and an adoring grandmother to her grandchildren, great-grandchildren and their friends. Irma is survived by her loving family: her two daughters, Vivian Grimes of Junction City, KS, and Mary (husband Kelly) Taylor of Arlington, TX; two sons, Paul (wife Lori) Vigil of Topeka, KS, and Mark (wife Leanne) Vigil of Junction City, KS; many loving grandchildren and great-grandchildren and a host of family and friends. She was preceded in death by her parents, Harry and Christina Williams, two sons, Sammy and Johnny, granddaughter, Brooke, 4 sisters and 1 brother, son-in-law, Joe. Add your memories to the guest book of Irma Keffer. I have many fond childhood memories with Irma’s kids. I also worked for Irma in my earlier waitress days. She was a great lady. My thoughts and prayers are with the family. I'm so sorry to hear about your Mom. All my prayers to you and your family. I am so sorry to hear this news .Your momma was a sweet , kind person and her door were always open to us . Junction City, wont be the same without her . God Bless and you all are in my "THOUGHTS AND PRAYERS "